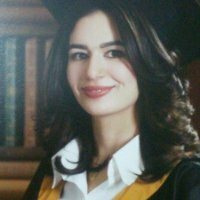 Diala Atiyat currently studying in university of jordan skilled in design from concept to construction Documents with proficiency in AutoCAD. 3ds Max, lumion, Form, Sketchup, Photoshop, 3d max, illustrator, In Design and freeh and drawing. looking for A challengine and progressive position in the field of architectural Engineering: where my education, skills and experience would be of benefit and to work with people who respect team work. His work experience is Researcher in BTS Academy, Teaching Assistant in the University of Jordan. and Architect in abu gonmy for engineering. Skilled in design from Concept to Construction Documents with proficiency in AutoCAD, , 3ds Max, lumion , Form, Sketchup, Photoshop,3d max, Illustrator, In Design and freehand drawing.